Looking for the best deal on Spanish Cup tickets? OnlineTicketExpress.com is the place to be! The Copa del Rey, commonly known as the Spanish Cup, is an annual cup tournament for Spanish football teams. The Copa del Ray is one of the most prestigious competitions in the world of football and finding a good deal on Spanish Cup tickets can be difficult. But not if you use OnlineTicketExpress.com! OnlineTicketExpress.com has been the top online tickets provider for quality sporting events' seats at excellent prices since 1994, helping numerous fans looking to buy Spanish Cup tickets find the best deal possible. So if you want to get true top dollar value you buy Spanish Cup tickets OnlineTicketExpress.com is the only place to be. Order now! Copa Del Rey Tickets are in High Demand! Book Now. Get Excellent Official Copa Del Rey Tickets. 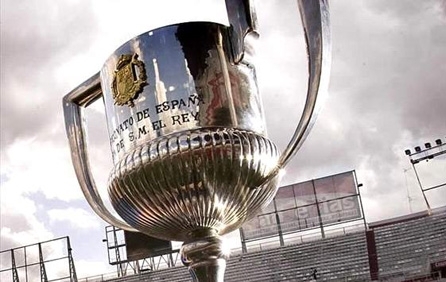 We will deliver your Copa Del Rey Tickets to your home or Hotel.